How many of us have wanted a maid? Not just any maid, but a maid that is a cute girl, roughly the same age as ourselves and is incredibly awesome at everything? I’m pretty sure that almost everyone will have answered these questions in such a way so as to indicate themselves as wanting this to happen to them. 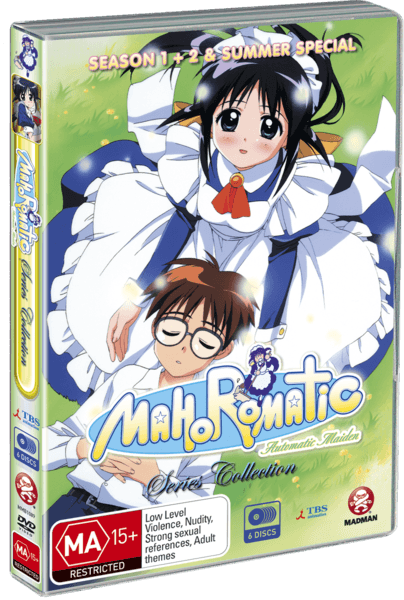 Mahoromatic is an Anime series that focuses around the life a boy named Suguru who has just that, a maid that is incredibly cute and incredibly awesome. However, as you learn rather quickly, Mahoro (the maid) is not quite the maid that he was expecting. Read on to find out why this is. Mahoromatic is easily one of the most hilarious Anime of all time. Everything from the plot to the characters, from the start to the finish, is a hilarious take on many of the existing tropes and cliches of Anime shows from that period. The story follows the life of a young boy named Suguru and his newly acquired maid Mahoro. 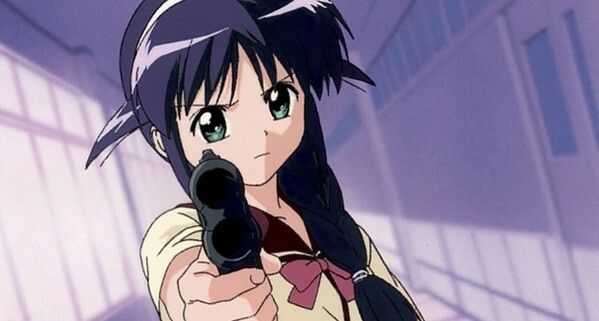 The twist of the show is that Mahoro is no ordinary maid, she is, in fact, a combat android from a secret organisation called V.E.S.P.E.R which seems like a more light-hearted version of NERV (from Evangelion). Anyway, due to reasons beyond her control, Mahoro only has approximately a year left to live and as a result she has chosen to live out her final days amongst the people of the earth that she once protected from the Aliens known as SAINT. The first half of the series deals with Suguru and Mahoro’s growing relationship and has a number of hilarious moments within it. 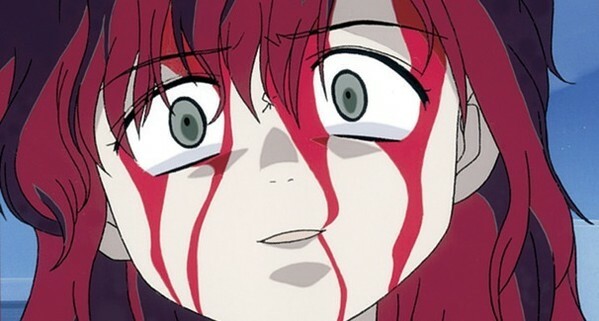 There are a bunch of episodes that deal with some kind of Anime trope, for example, there is a beach and a horror episode that are staples to most Anime series. I feel that often when dealing with parodies, a lot of shows are pretty hit or miss, especially when it seems like they are parodying something that they have no backing knowledge with. Fortunately, this is not the case with Mahoromatic Season 1. The writers and animators seem to have hit the nail on the head with all of their jokes, making this season one of the most hilarious Anime series ever. The second series of Mahoromatic retains the parodic nature of the original series but turns the humour up a few notches by playing with the background story of the characters, the shows premise and the world in which they reside. One of the best examples of this is in the episode where the town hosts it’s annual fighting festival. All of the characters become cliched fighting anime tropes, the setting is freaking hilarious and all of the references just stick out so well that you just CAN NOT help bursting out in laughter add the most strangest of times. My favourite references in this episode were the Dragon Ball Z and Fist Of The North Star (Hokuto No Ken) puns. The entire episode had me laughing my sides open, but these two references were especially awesome. The last thing about the story that I want to talk about is the shows original story as well. What I really liked is that even though the show was largely a parody of Anime in general, it also featured a pretty coherent and entertaining story. I feel that even if one was not able to understand all of the references, they would still enjoy this series based on it’s own story. 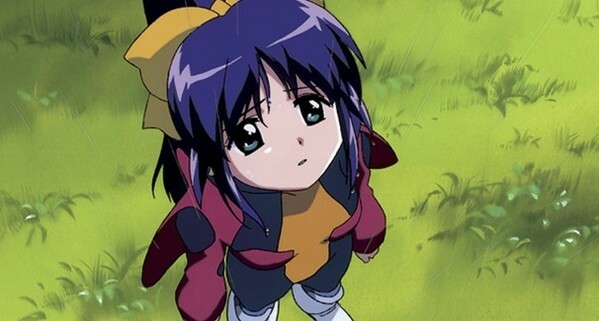 However, as is with Gainax series, the ending was all ‘what?’. However, it was not as ‘what?’ worthy as, say, Evangelion or Top wo narae – Gunbuster, but it does actually fit the show quite well and I feel that it really showcased the strengths of each of the characters that were showcased in it. Mahoromatic is a show from the early 2000s and as a result, the Animation may not sit all that well with Anime fans growing up these days. However, for it’s era, it is incredibly well done, incredibly fluid and is quite detailed. What I really loved about the visuals though, was how all of the male characters looked incredibly generic, while all the female characters were all drawn to be appealing to the male (and homosexual) eye. I feel that having these kinds of designs greatly added to the level of parody within the series. 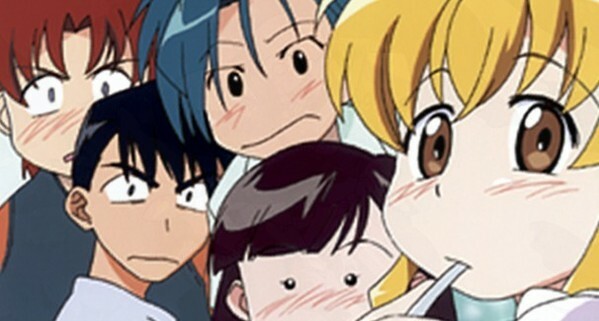 For instance, it is popular in harem Anime to have a generic looking male lead and having a plethora of women designed to be attractive to all kinds of personalities and to have this parodied in this show was quite entertaining. Of course, this is a Gainax show, so this means that there are plenty of mechanical elements within it. 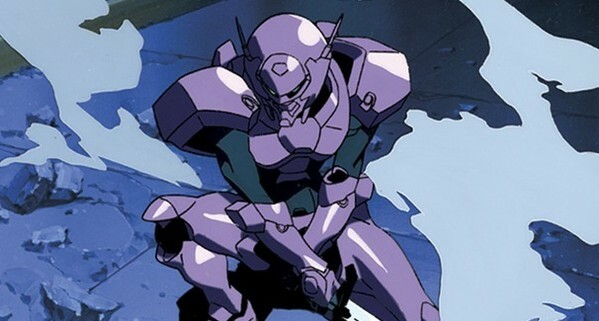 I really liked the mechatronic designs in this series as they were quite detailed and unique. This isn’t Gundam-like mech vs. Aliens or other Gundam-like mech designs, it’s much more unique and robust. For instance, there is a robot that is like a crab. And it goes about cutting off the clothes of the various women in the show. Classic. Mahoromatic has a fairly decent soundtrack that is quite enjoyable and fits the shows themes quite well. What I particularly like about Anime over western animation is that they tend to not dub every sound effect comedically, which is something that I feel could have happened with this show if it was handled over here. Fortunately for us, as a Japanese animation, the show does not go over the top with the sound effects, even if this show is a parody. Somehow, I just feel that having normal-ish noises makes much more sense. The background audio is quite pleasant sounding and captures each scene so well. The opening and ending themes also portray the series’ quite well. In particular, the two ending theme songs fit the shows premise so well that I would recommend listening to them at least once each. I never actually grew bored of them so I never skipped through them. Nowadays, it feels like Anime is just a vehicle to sell the opening and closing themes. Mahoromatic is host to a few Extra’s in the form of special features and some awesome inner cover-art. What I really liked about Mahoromatic was that the extras were not spread across every disc, but were instead hosted within, if I recall correctly, the first disc of the first season and the final disc of the second season. There is also the commentary, which was on selected discs. Mahoromatic is easily one of the most insanely hilarious Anime series that I have ever seen and I am actually retroactively disappointed in myself for missing this on it’s original release when I was in highschool. Not only is this a series that is a great parody of the Anime series of it’s time, but it is also a great series that has a great story even without the comedy elements. This is something that Anime fans, or Otaku, should definitely look at picking up as soon as they can.